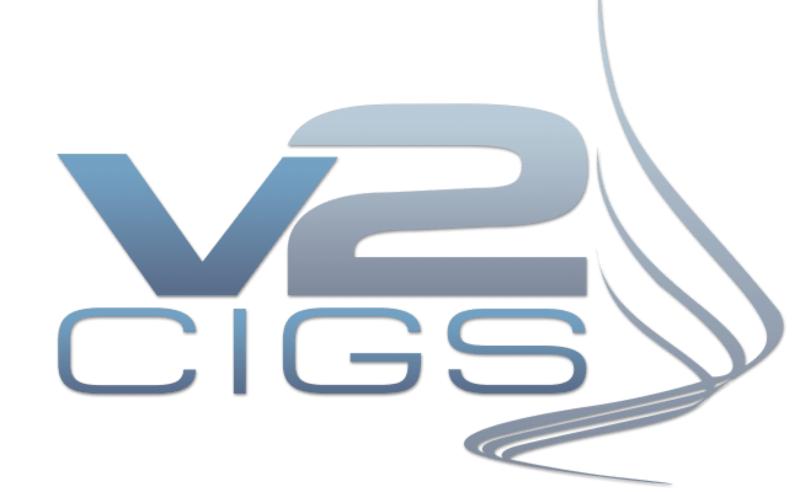 Set up in 2009, V2 is one of the few companies that actively took part in the commercialization of the electronic cigarettes in the U.S. In less than two years, the've become a household name in the e-cig industry. Every review site rushed to dissect their e-cigs and this has kept on for years. With sales running into hundreds of millions of dollars, no other e-cig brand in the world can claim that top spot. V2 cigs are top rated and for very good reasons. The e-cigs pack the proven technology that built the company into the powerhouse they are today. V2 e cigs offers lots of options uniquely designed to suit different tastes. Their e cigs also come with flavor cartridges in a dozen diverse flavors, increased puff count and different power and battery options. As a bonus, every purchase you make, you earn Vape 4 Free points which you can redeem later for other V2 products. And thanks to their impressive customer service and great warranty, you don’t need to worry about returns, shipping status or any other concerns that may arise. V2 cigs come in different kit options. The technology used, battery types, use of pre-filled cartridges or e liquids are what mostly set them apart. For now, let’s take a detailed of the features to expect in a v2 cigs Standard Starter kit which is basically the oldest and most well-known kit. Chances are if you've set your eyes on the starter kit box, you are definitely going to be surprised about its size. It’s quite large for a starter kit but surprisingly, that doesn’t imply anything about the contents inside. All of them are nicely tucked in different compartments and they also fit together seamlessly leaving some gaps to allow for airflow. Industry standard specifications have been met just to ensure the pieces are compatible with other brands. V2 cigs utilize KR808D batteries, which every other top e-cig brand is trying to upgrade to due to their ability to last long and deliver great puffs. You also have the option of picking between their manual and automatic batteries. Tests show that they last almost the same time. Only difference could be 50 puffs. Charging these batteries takes roughly 2 hours. V2 cigs come so close to tobacco cigarettes if you compare the vapor production. Thanks to the unit’s batteries, the response is almost instant. You are guaranteed instant vapor and not just that but also a vapor volume that is sensational, comforting and delivered right when you make your first puff. The throat hit is also smooth and satisfactory and not the type you can easily get from every other e-cig brand. Before being shipped, their e liquids are put through intensive tests just to make sure that the flavor and taste is of high quality which is exactly what you are going to get. Each cartomizer package packs 5 single cartomizers and each of them can last an average of 250 puffs. If you opt for the empty cartomizers and fill them up with a v2 e liquid of your choice, the puff count goes up to around 300. But if you wish to get a higher puff count than this, you can go for the EX series starter kit. One important question every vaper wants to know is “Are the V2 products worth the price?” Well, think of the smooth throat hit, the sensational vapor, the quality of construction, great battery life, the diverse and rich flavors and many other great things we’ve seen in our v2 cigs review. Are all these not worth that little price? One great thing about V2 is that they don’t make guesses with their products. Before a product reaches the client, it’s put through intensive tests, just as we saw in the case of e-liquids and cartomizers. In fact, these reports are put in the open so as customers can have access to them for verification. A clear evidence to this is their lifetime warranty, which goes ahead to show just how confident they are in their products. V2 is not one of those companies that sits on the edge waiting for others to innovate then jump along. Day after day, they have top experts and their company’s team working to ensure the quality is ever on the rise and that you are comfortable and have it easy using their product. This is evident in their batteries, e-liquids, cartomizers and generally how their units perform. Even though they stepped into this market just about 7 years ago, v2 has claimed a top spot in the e-cig market, thanks to their quality electronic cigarettes and vaporizer products. To date, they remain a brand that has sold more units than every other e-cig brand in the world. It’s a wonderful thing to note that V2 cigs offer communication through nearly all the well-known channels you know from Email to Blog to forums to social media, name it. So if anything comes up that you wish for them to address, you will have it easy getting through to a solution. Besides that, all their customer service team are well knowledgeable to respond to any issue to your satisfaction. Some of the flavors that have received better ratings include the Sahara, the Red Blend, Congress, Menthol, Peppermint, and Cherry. Each of them has a legion of enthusiasts rallying behind them but surprisingly, other flavors that we haven’t mention here haven’t received much attention and credit and in fact, some users weren’t pleased with them. Whereas other brands offer free shipping, that’s not the case with v2. You definitely are going to part with a few dollars to have your unit shipped to wherever you are. One unique thing about the EX versions is that they feature a new and advanced technology designed to ensure you not only get a rich flavor experience but also an increased puff count. Each of the batteries included also feature matching sleeves to give the unit an appealing look. Another great feature is the inclusion of a viewing window to help you check the e-liquid level and this is good because it gets rid of the guesswork. Not forgetting to mention the leak-proof construction. The V2 Standard E-Liquid Kit-EX Series is also another option under this category. Please watch the video below to discover a lot more about the v2 EX series batteries and cartridges. Battery type: You have the option to choose between a manual or automatic battery. Automatic batteries are a little bit easy to use as they activate themselves automatically when you inhale. If you are a busy person or just new to vaping, this is a great option. Manual batteries, on the hand, let you press down a button and control pretty much everything taking place during the process. Classic kit batteries let you pick between different lengths: short, standard and long. This will pretty much depend on the individual. Initially, V2 Ex batteries were only available in automatic but recently they added in the manual type. The batteries come in a wide range of colors to suit your taste as well. E-liquids or Cartridges? It’s important to determine whether you intend to use e liquids or cartridges with the starter kit. If you want extra control over the kind of liquid you use, it’s better to go for the e liquid kit as opposed to the kits that comes with pre-filled cartridges. Not all of us relish pre-filled cartridges and if you are one of them, here’s an opportunity for you to find out about V2 cigs e liquids that you can use with the Ex Blanks (Clearomizers that work just like a tank but require little maintenance). Each can last up to 10 refills. Now when it comes to refilling them, you have a variety of flavors to pick from. Remember the 12 flavors we mentioned earlier in our v2 e cig review? V2 even went further to break down the e liquid’s ‘DNA’ in terms of Throat hit, Sweetness, PG/VG blend, Tobacco taste. This make it really easy for a user to pick an e liquid that matches their taste. In addition to their own e liquids, they also sell other e liquids such as the Black Note, XEO e liquids, and ZigZag e-liquids. These e liquids are available in different flavors as well, from Tobacco Gold to Tobacco Red to Tobacco Honey to Mango, to Dragon Berry to Breeze and many others. So if you are after trying out the diverse flavors and e liquids available from V2, then you definitely have a long list of options to choose from. Earlier on in our review, we saw that V2 Cigs offer you the option to either use e-liquids or a pre-filled cartridge. Also, the choice of the battery (manual or automatic) influences how are you going to use the unit. If you go for a kit that utilizes pre-filled cartridges as opposed to those that use Ex Blanks, your experience is definitely going to be hassle-free. No refilling is required. Just press down the button (if you are using a manual battery) or inhale (if you are using an automatic battery) and you will be off into enjoying the amazing vapor and flavor V2 Cigs give. Nicotine concentration has also been factored in. The e-cig cartridges come in different nicotine levels. Frankly speaking, from our v2 cigs review, it isn’t hard to see why V2 cigs dominate the e-cig market and also why they hardly attract harsh criticism. Well, some users have complained about some flavors not being good, that the company should offer a nicotine level that’s a little bit higher and some think the warranty is not great enough. But that’s just a few people. Many of us can admit that the vapor quality and volume are exceptional, the battery performance doesn’t disappoint, the flavor is rich and diverse to match different tastes and on top of all this, you get a great warranty after all for all your purchases. What’s more, they have excellent customer service and you have an added chance to only use products that have passed thorough intensive tests with reports to show for it. For those wondering where to buy v2 cigs from, you can click below.